The visit was a huge success and I owe a lot of that to Critterish Alllsorts who Animania sponsors. 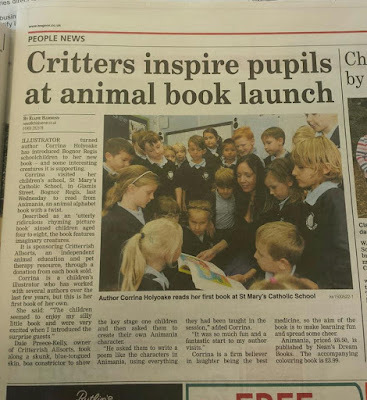 You can read more about the organization in my earlier post Animania Sponsors Critterish Alsorts Dale from Critterish Allsorts kindly offered to come down for my first school visit so that we could read the book and introduce the children to some of the critters. I didn’t tell the children about Dales visit, it was all kept hush hush. So a couple of weeks before, I gave the school a load of posters and leaflets to pop into the kids school bags to tell them about the author visit. I mentioned Critterish Allsorts and said that all percentage of the sales will go to them. I said that it would be an author visit with a twist, but that was as much as I gave away.... I do like a tease. 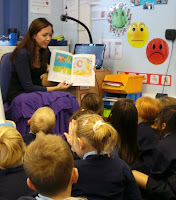 We only had 20 minutes in each classroom which was a bit tight, so I decided the best thing to do was for me to go in and read some of the book to the children. After this I mentioned that Animania was sponsoring Critterish Allsorts and that I had a surprise for them. That’s when Dale came in with one of his critters. 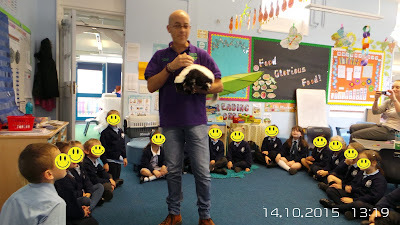 We had Stoosh the skunk, Connie the boa constrictor and Shiver the Blue Skink. Well, you can imagine the excitement that caused! The looks on their little faces was absolutely priceless! Dale was amazing with the kids and told them all about what the organization is about and then gave a little talk about the animal he had bought in. The children then had a chance to handle the animals briefly before we rushed off to the next room. The whole experience was so much fun! The children’s excitement was infectious and I felt like a big kid again. It was so rewarding to finally share my work with children and I was blown away with their enthusiasm and interest. Sadly due to distance issues this combined author visit will be the only one of it’s kind as we live quite a distance away from each other. Such a shame as we made such a good double act and the interest was definitely there for both the book and the organisation. My plan with future visits is to use my artistic abilities to add the extra factor. Animania is about completely made up animals so I thought at the end of the session the children can help me create their very own Animania character which I can draw out for them. We could have a lot of fun creating a new character and discussing what their characteristics would be, what we should call them, what they will look like etc…hey you never know, it could well trigger a new book concept he he. 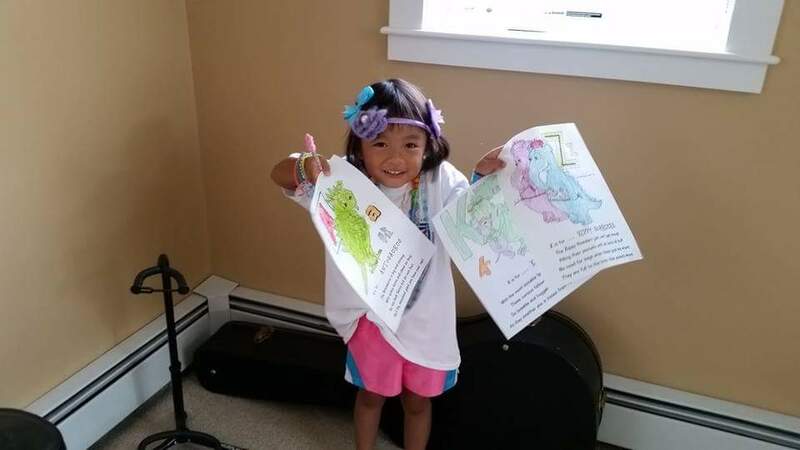 Another success was introducing the colouring book. 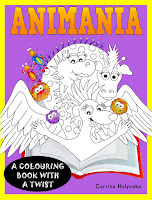 At the end of Animania I included a couple of colouring sheets and some blank sheets for kids to create their own Animania character with. So when I finished reading the book, they saw the colouring page and there was alot of excitement over that. So when I heard the “oooo a colouring sheet” response it was the perfect opportunity to show them the colouring book which I had recently published. 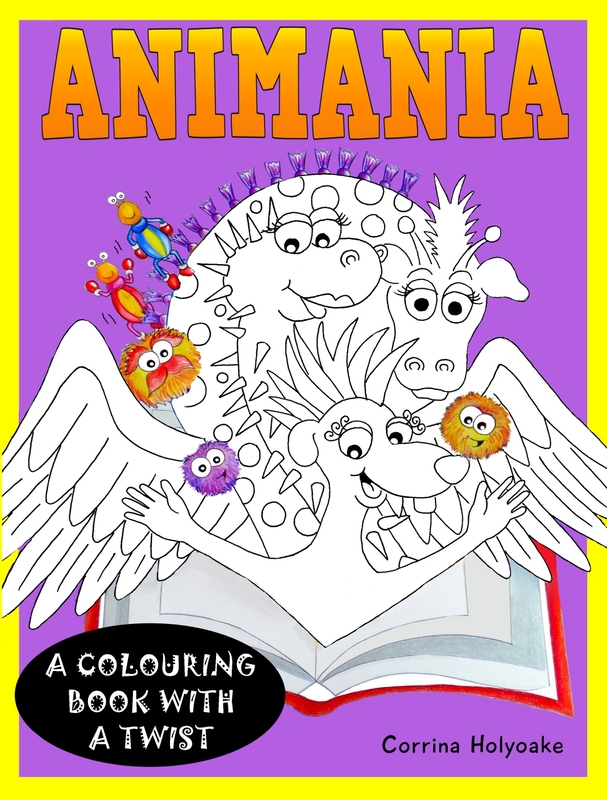 The colouring book is basically the entire book republished in line art so that the children can colour in their own version of Animania. The colouring book did very well and I took many orders that day so another little tip, colouring sheets go down very very well! So how can you have a successful author visit? I can’t thank Dale enough for helping me with the first visit. The combined double act really added a little something special to the visit and made it a more memorable experience for the children. Try and think outside of the box a bit. 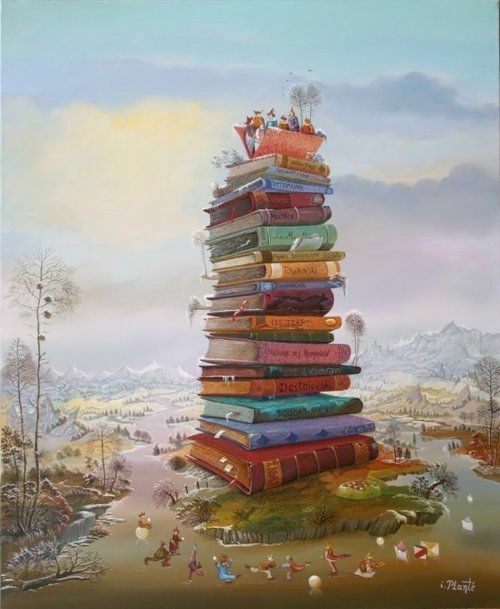 Have a think about what your book is about, is there anything you could utilise that would be a fun little twist on the visit? There could be organizations or people out there that could help out. So for example, say your book includes a magician… get a magician in to do a couple of tricks. If it’s about an animal and you know someone who owns said animal then ask if they could come in with you. You might want to dress up or have some friends that are happy to dress up for you, you might even have some budding actor friends who would like to act some of the scenes out. The possibilities really are endless, you can be as crazy and whacky as you like, that’s the beauty of children, you really can’t put a foot wrong. They will enjoy whatever you do but giving them something that leaves a lasting impression will make the occasion more memorable. I go and do a reading of my Maggie, Millie, and Merrie's Magical Adventure" book. There is an art project in the back so the art teacher I know invites me to do this with her 3rd, 4th, and 5th graders. The students really love this project. I give them each a bookmark and they all enter a chance to win a box of school supplies. (The supplies are in the story.) I also talk to them about how they can become authors and illustrators. Kids love interacting with you so ask lots of questions throughout the reading and get them involved with the story. Ask them if they can guess what happens next, or if any of them can relate to a scene in the book. You will find this happens naturally anyway, kids will certainly put their two pennies worth in. 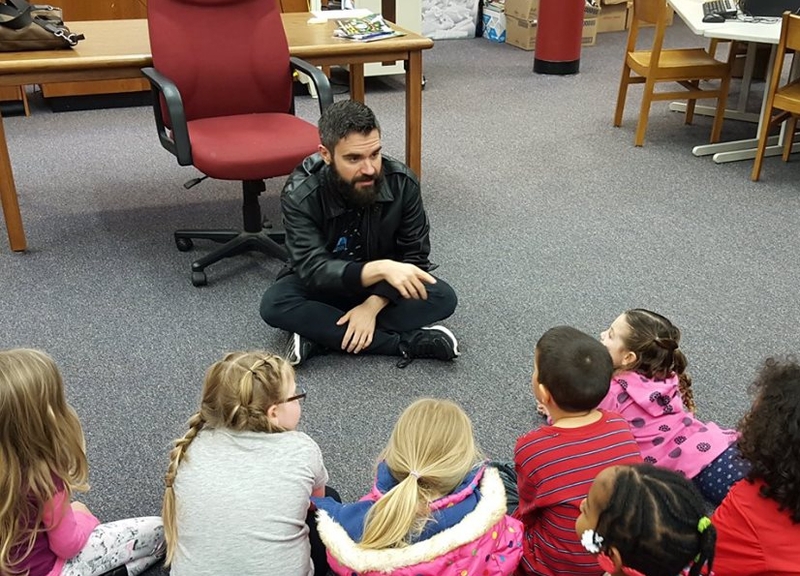 Another indie author AJ Cosmo has recently had a school visit and I wanted to share one of his pictures with you. I loved how AJ actually sat down on the floor with the kids, making himself at their level so that he in essence was just a big kid there inspiring them. I thought it was a great idea for AJ to actually get on the floor with the kids, I am going to have to pinch that idea he he. So let your inner child out and be one of the kids for the day. You could go the whole hog and go for the full fancy dress costume, you will certainly get noticed that way and guaranteed to make quite an impact. If like me though you are a little more introverted than that, then choose an outfit that stands out. I am a bit of a girly girl hippy chick anyway so my style is a bit in your face at times. I chose one of my favourite long skirts, a bright purple layered number and the little girls loved it, they made me feel like a princess. I was sitting there reading and these little fingers kept playing with the ruffles on the bottom of my skirt, it was very cute. So go for something bright and cheery and if you are brave enough to go for a costume then go for it, they will love it! You want your visit to leave a lasting impression so set some tasks for the children so that they are still talking about the visit days after. For our one Dale came up with the idea that each of the classes were to create an Animania character based on the facts they had learned for each of the animals. They could draw the character or come up with a verse for it and then they could share it on the board outside of the classroom so that other classes could see each others ideas. 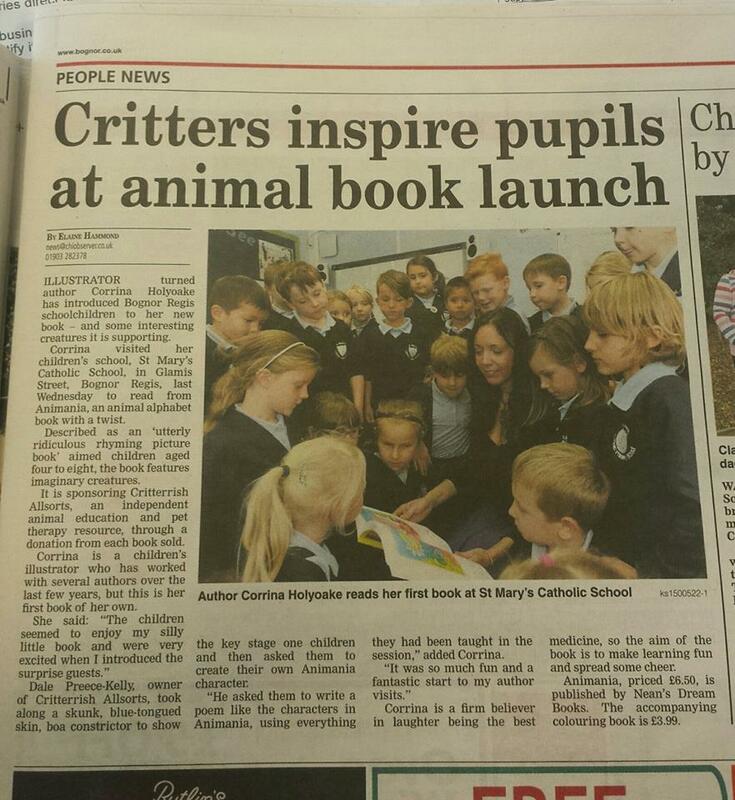 This will encourage the children to carry on discussing the book and characters after the visit too. Again be inventive and think of a task that specifically relates to your book. You can’t go wrong with freebies. 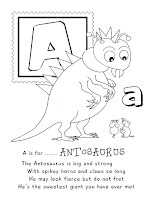 I went for colouring sheets with mine, they are the most affordable option and kids love them! I have supplied a few sheets to other authors I have worked with in the past by using the preliminary line drawings as a basis for a colouring sheet . 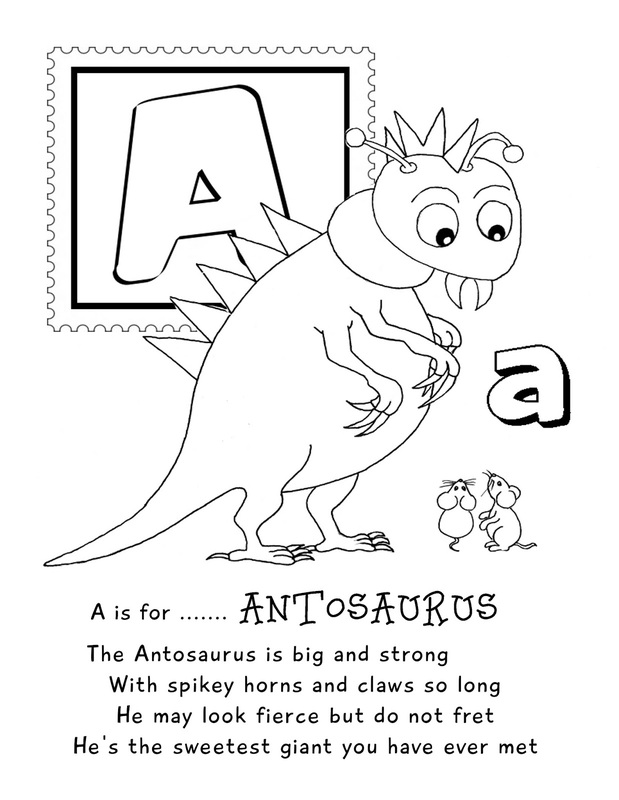 From an illustrators point of view creating colouring sheets are super easy to do. So have a chat with your illustrator and see if they can do some bespoke sheets for you. Or like Rosie Russel did for her recent book launch reach out to people to ask if they are happy to donate some colouring sheets. There is a fantastic group on face book called Colouring in with Colour. This group is packed full of amazing creatives and are always offering free colouring sheets. I gave Rosie some of mine and so did Karen Emma Hall founder of the colouring group and the fabulous Kid Literature Authors group. I am sure there will be people on there happy to donate some of their colouring sheets, I am more than happy to share mine too. Other inexpensive ideas are stickers, bookmarks, badges etc. You could even bake something , again chose something that relates to your book. A children's book and toy giveaway! 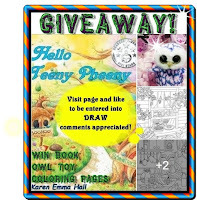 Sondra Robbins Rymer from Fairy Tales Imagery, Inc.
Teeny Pheeny book and a plush owl, plus three colouring pages. In this article you get to see the name of the new colouring book. Why I headed for twitter after writing a book and starting a blog site. After writing a book what next? Even before I had edited my stories I was researching the best way for my book to be seen, so it was research, research, research. From googling a few words about how best to promote your own book, I discovered quite a bit and found would-be authors and established authors on twitter. It all looked rather confusing but I wanted to know how people got their followers and how to get retweeted. So hold onto your seats as you are about to go on a social media journey and it is a bit of a crazy rollercoaster with all of the fun, frights, and the odd bumper car thrown in. I had no idea about hashtags or their purpose before heading to twitter, so I learned most of my skills from twitter I would say. I wanted to learn the highs and lows of the indie author and set out to research and see what worked and what didn't. I now believe one day something works so well, the next day it may not. It can all depend on so many factors. I soon discovered ebooks on Amazon kindle had really starting to take off and I was looking forward to putting my book out there. So it was twitter that was my only social media site at the time and that was where I met like-minded people who were wanting to make a way in the 'twittersphere' with their book. I also enjoy writing blogs about literature, reading, books, authors, and various other topics of interest. I get a staggering amount of hits on my blog and sometimes it still takes me by surprise and it is so good to know this kid literature blog and the sites from this blog spot go straight to the first page of google searches very regularly when words like Kid Literature, writing children's books, children's author are put into google. As my twitter account grew, I was pulling in more tweets. And this is the thing. We all love activity with retweets or likes, this is our interaction, we strive for it and try to maintain this. But this is not the most important thing. 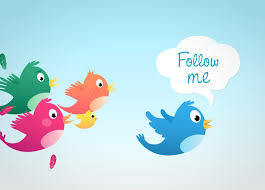 DO NOT think about the amount of tweets you have, or likes. The majority of people who are clicking on your link and reading or checking out wherever that link takes them will not have even stopped to like or retweet, no, they have gone straight to the link. The ones who click 'like' or the new heart favourite (as Twitter now has) on your link can generally be the folk who support you. I have found out that the majority of people who can see your post from twitter or Facebook bypass the 'likes' and go straight onto reading your post which is after all the object of intention. So they still leave their print when you see stats charts. Now you may not agree with this, after all everyone is different, but after working Twitter for so long I have found in my experience this is the case. Even if it is just my case. So when you have built up your followers, and that takes real commitment you will start to see results, and hopefully before you reach this point you hadn't thrown the towel in, walked away, therefore not hanging around to find out. Commitment as in you are on there every day like a job, you are retweeting, putting tweets out, and eventually working a scheduled app like hootsuite for example. Now with hootsuite and similar apps you can schedule posts in to come out for the times you are not around. Some people put them on all the time, they don't get the time to hang around twitter or whatever social media place they prefer. I worked twitter manually because I wanted to, I had the passion for it, others do it only because they feel they must.. its a chore to them. Some people prefer to post or to retweet scantily. This is worth trying, but doesn't necessarily mean it is better. You may have read that engagement decreases slightly after the third tweet. I have found this works on Facebook but not on Twitter, so I post less on Facebook and more on Twitter.This is what works for me. It took a year before I learned this. Also it's worth following a group hashtag, and you have to make sure you retweet them. Keep searching for the hashtag in twitter on the day you retweet as it is a lot easier and takes up less time. Try to make sure you always retweet them. It is heavy work, but you either get their slowly, or get there quicker with the hours you put into it. Some days, what works one day, doesn't always work the next. One day you have worked hours on a blog or a sketch for example and you can't wait to show it off! You put it out then, bang, nothing. The next day you put it out at the same time and hey bingo! 20 tweets in a a few minutes. so you just have to go make a cup of tea/coffee put some music on, or whatever soothes the soul, and then take it all as it comes. So view it as a chore and it will become a chore, and view it with pleasure and it will become a pleasurable place to be. Positivity grows positivity and the same with negativity. Which leads me onto negative people. You must not allow negativity or green monsters to bring you down. It happens, but you have to move away and steer towards the positive ones. There are more positive supporters who will always be with you, and you have to group together and embrace the writers life. I didn't really have a structure at first. And I can tell you now it is not for the faint hearted. 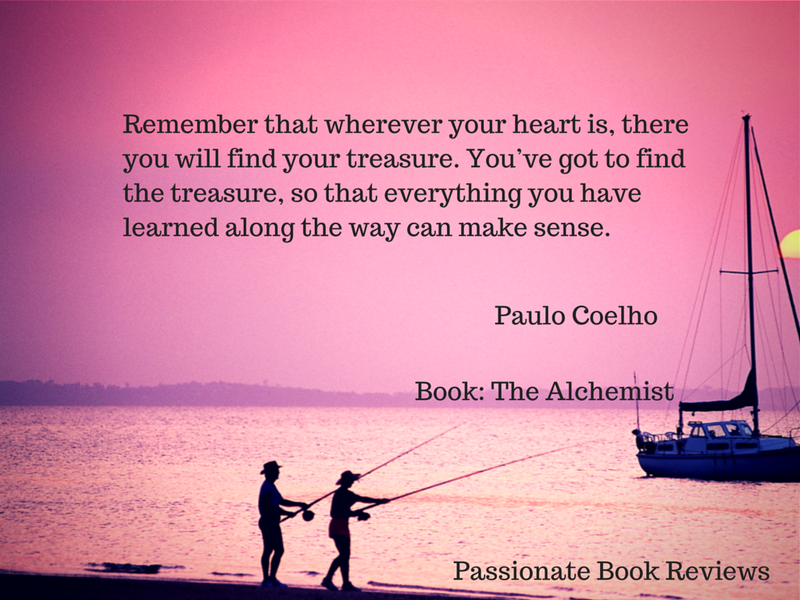 Many lessons were learned, and also many positive things came out of making mistakes. I believe making mistakes is a good thing. 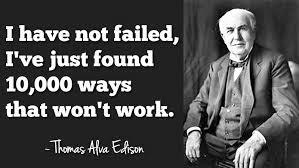 Making mistakes allows you to learn and grow and become more knowledgeable. Then there are times you'd happily go back for more even though you have worn the T-shirt out. Life does tend to get in the way though, as I found, and before long I had to take a long break. It was such a long break, I didn't feel like coming back, I had got so used to being outdoors most days, concentrating on my health and my family. When I did come back after a break I wanted to concentrate on my art for my next book, maybe squeeze a bit of writing in, and definitely make sure I had me time and plenty of family time. The challenging part was learning not to take on too much at once when I had already set a schedule. It is so easy done. 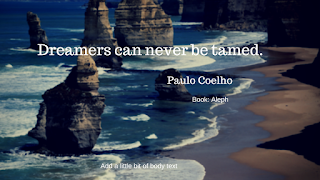 Everyone wants to support each other in the author community, and the challenge is not to feel bad if you say you can't do an extra task for yourself or someone that week. Just do what you can easily manage, otherwise you may feel guilty if someone is disappointed or let down. Know it is ok to say you have a full workload on and you can't take on any more for the time being. It is essential to take time out for anything to work and have direction. So I set out a schedule, checked it over with some friends and decided if I stuck to it it would work. Write down the things you wish to achieve with your stories then research them. 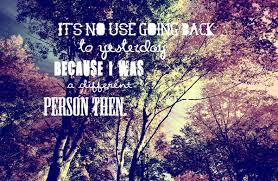 I started off on twitter first, but some people prefer Facebook, or other social media site. Everyone is different. 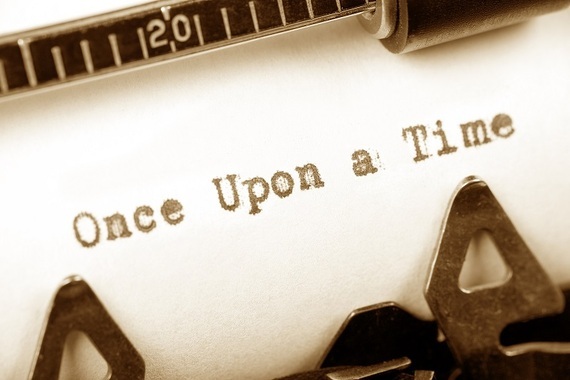 Even if you have done a few words and they don't make much sense, just keep at it, keep on writing. File things carefully so you can refer to anything if needed. There is nothing worse than spending half the day looking for a notepad, or piece of paper you had quickly jotted down the items you had intended on ticking off that day! So organise yourself. You will be chilled and relaxed with things in the correct place and that means a better frame of soothed mind to work with! Give yourself a big teacher tick when you do this. Definitely take breaks and do something different that you enjoy. Spend time with family, go out for walks, catch up with people or have a pamper day to yourself. Once you have a passion to try anything new and to have the audacity to feel it will work, to know it in your bones you're onto a winner. I felt it strongly so I simply went with it. 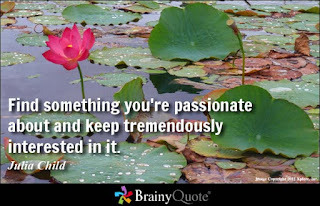 If I am passionate about any one thing I will see it out and give it my all. That's what I did with the colouring group. So it is definitely the want and the passion that keep me going. If what you are doing inspires just one person, then you know you're doing something right. Be grateful for everything, and then whatever comes along is enough. 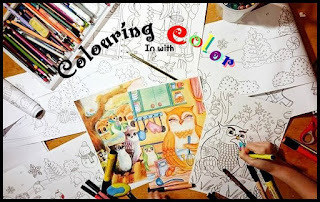 I decided to open a group for colouring art therapy as it is such a stress-relieving pastime, and I was surprised by how many wanted to join up and post their colouring pages and photos. It just grew in a moment, and many love to post their art or their photos and links. Everyone is welcome to join and see what all the fuss is about. People have been picking up a pen or pencil for the first time and colour in from a variety of pages and books. Once you discover adult colouring it is very addictive and relaxing. Teeny Pheeny also has two twitter accounts and two Facebook accounts! It is very important to grow a group support. It offers advice, moral, and even on occasions good friends. who you can share things with and have complete trust. You need these basic things for any author relations and when building a community. It can also be overwhelming and everyone has their own schedules and you find life gets in the way on occasions. But that's ok, as long as you have support from like minded people you know you can take a break, and come back and if they are there for you that is very securing to know. I have supported so many wonderful folk, and I know they would do the same for me. The first thing you have to know is that Teeny Pheeny is an owl. A magic owl, who captures hearts and he is the main character in a series of tales. 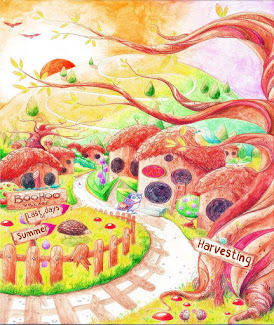 In the first book 'Hello Teeny Pheeny' you are introduced to some of the other owl characters who reside in Boohoo village. This series brings you teeny bits of teeny magic. The owls are almost living and breathing as they're very endearing, funny and even a bit grumpy! It's all about the owls! The idea for Teeny Pheeny came about all of a sudden. 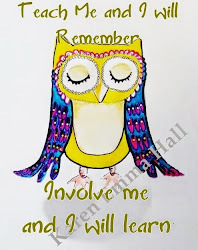 I have a passion for owls as we used to visit rescue owls and still support wildlife. One day I came across a beautiful owl called Phoenix and an idea formed. I wanted a special name for the main character, a baby owl, so my children named it Teeny Phoenix. Later I changed it to Teeny Pheeny, and his mother became Mrs. Phoenix. 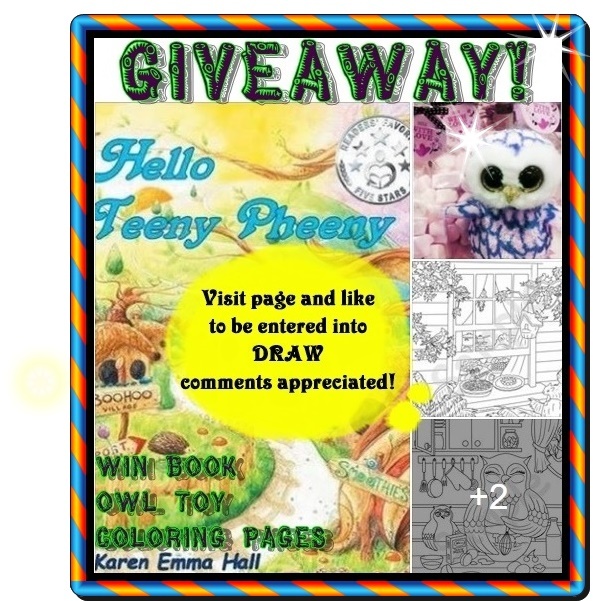 As well as facebook here https://www.facebook.com/KidLiterature https://www.facebook.com/AuthorKarenEmmaHall and twitter twitter.com/KidLiterature twitter.com/TeenyPheenyOwl Owlsnbooks I also have social media sites on pinterest, instagram, google+, goodreads, blogspot website and www.kidliteratureauthors.com This website has various links and blogs from kid lit authors and inspiring people, as well as art games and typing fun for kids! But at the moment I'm not in a position to update this website as my work load is to the max. I am sticking to that schedule I mentioned! If anyone wishes to contact me to offer support feel free, I am always happy to chat. Thank you for taking the time to read this as I know how precious time is. 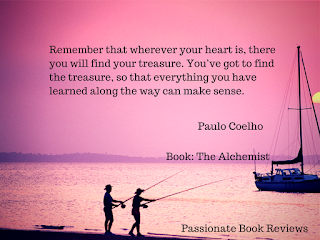 There’s more than one way to get your children’s novel published ~Find your passion. There’s more than one way to get your children’s novel published as Sharon Tregenza found out when she sent her first children's book into a competition. Sharon saw the advert for the Floris Book’s Kelpies prize while already half way through a children’s book set in the Shetland Islands. Perfect, she thought I can finish this in three weeks! 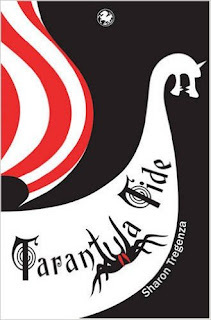 and see the book that was presented into the competition called Tarantula Tide. 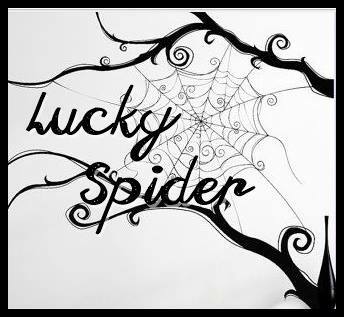 And for those thinking of doing the same thing, please send in your completed stories and book to as many competitions as you find, you just never know, you may be the next lucky spider to win! Never give up on a passion if you love it so much because when your job or work you love come together with your passion then great things can happen for you. Human progress is neither automatic nor inevitable…Every step toward the goal of justice requires sacrifice, suffering, and struggle; the tireless exertions and passionate concern of dedicated individuals. – Martin Luther King, Jr.